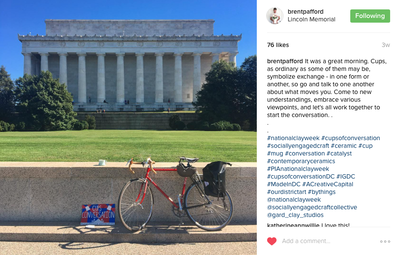 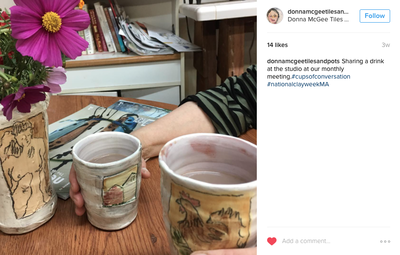 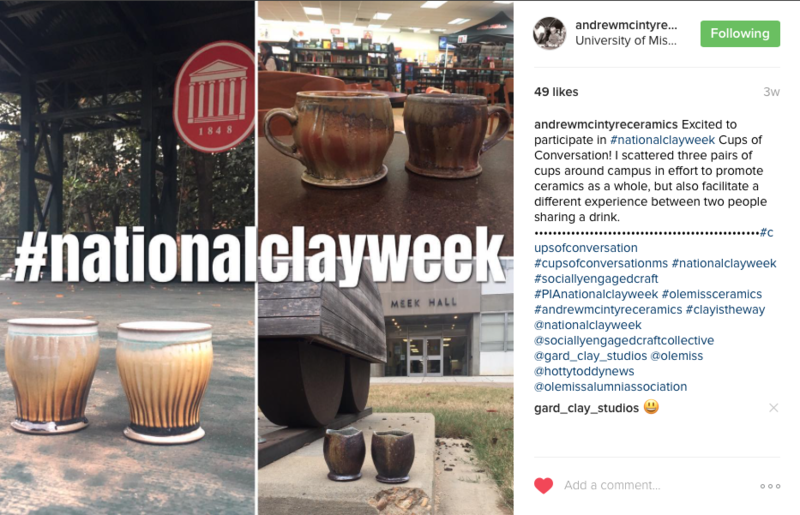 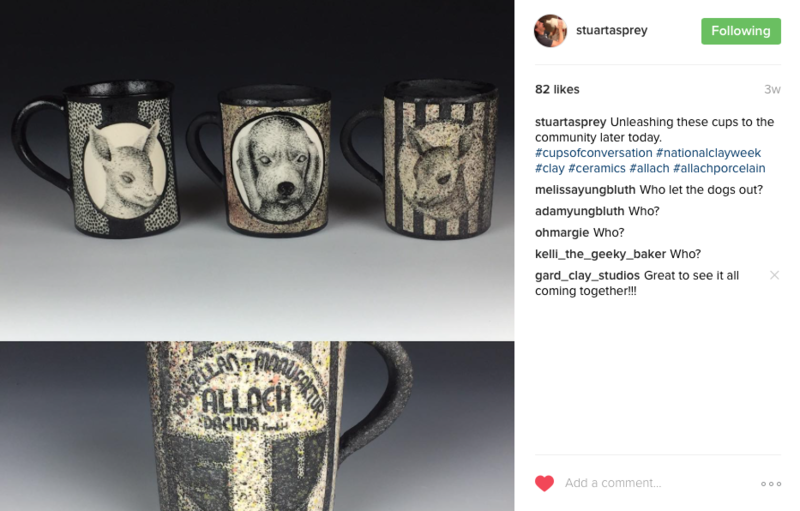 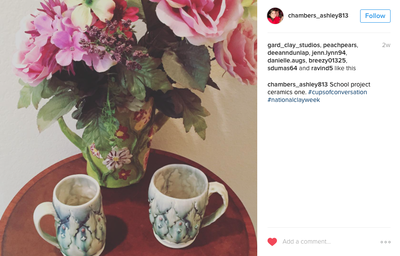 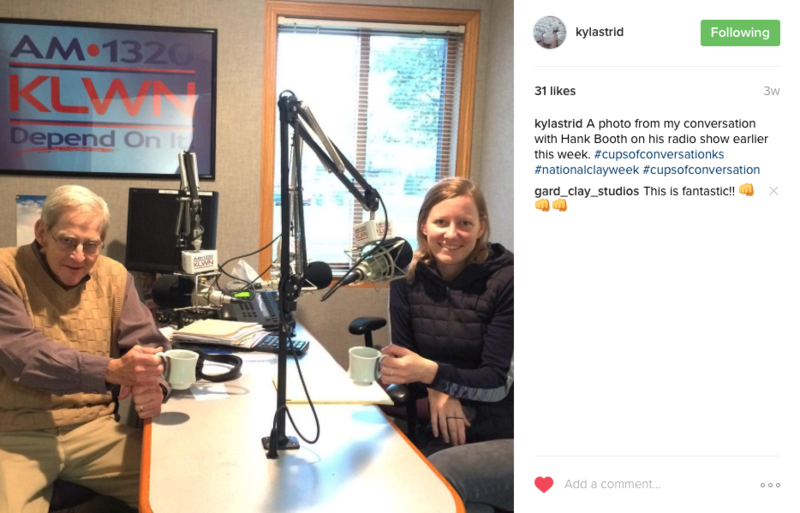 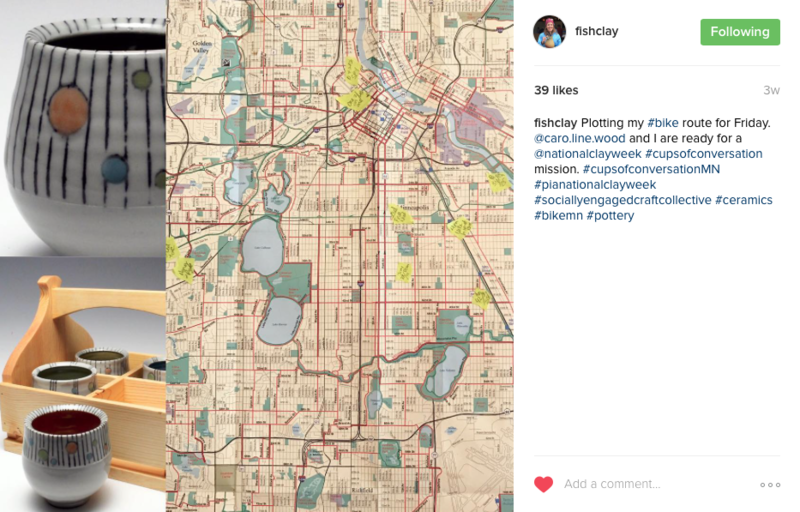 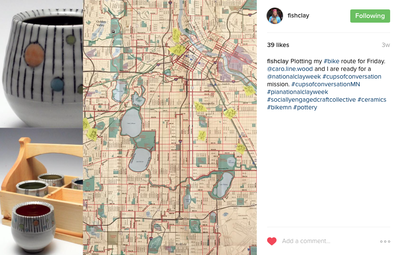 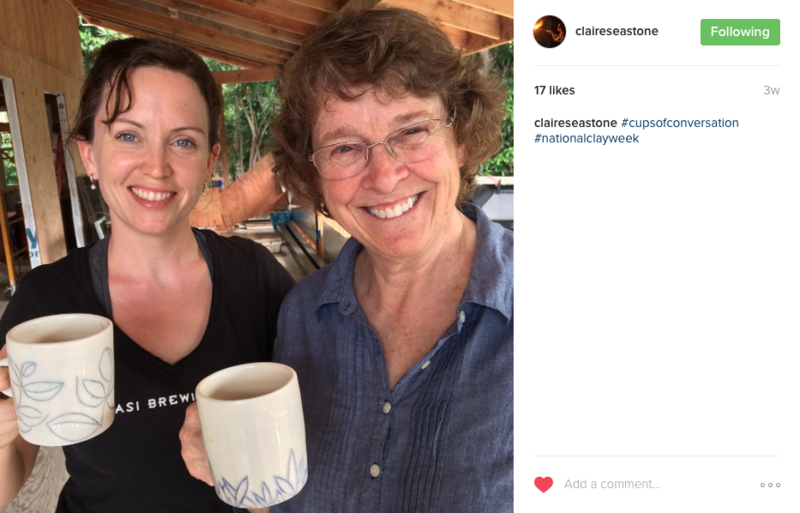 As part of National Clay Week, I worked collaboratively with artists from across the nation with a representative from each of the fifty states. 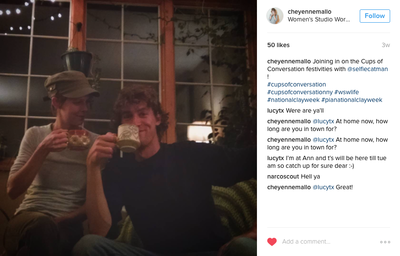 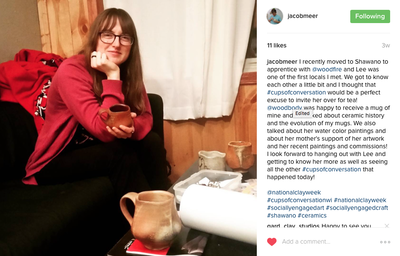 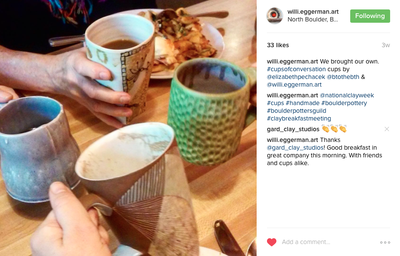 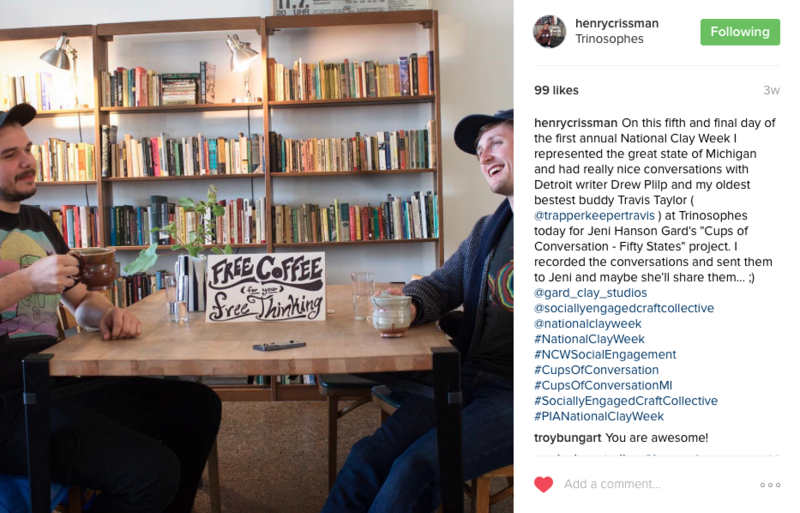 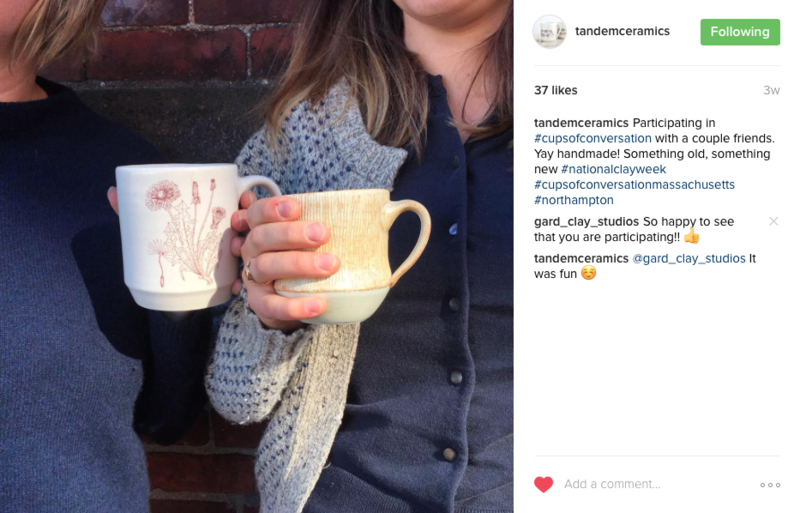 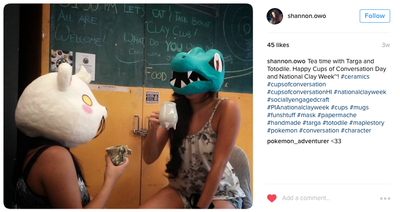 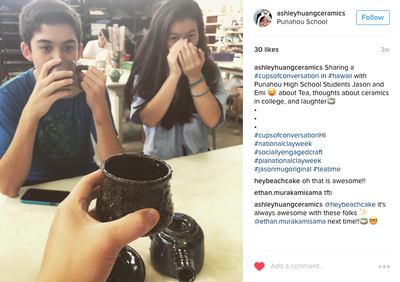 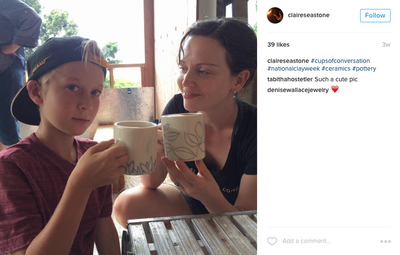 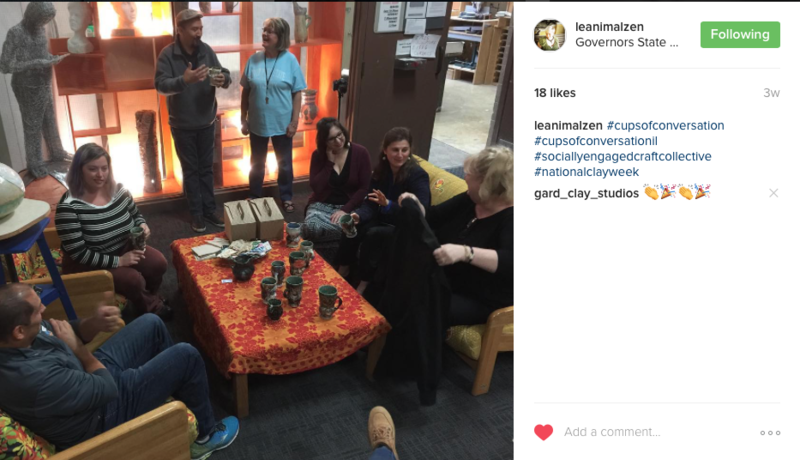 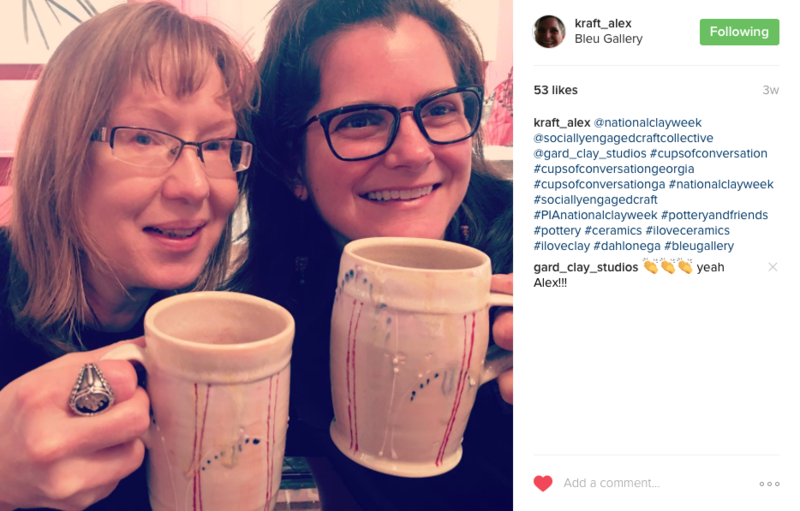 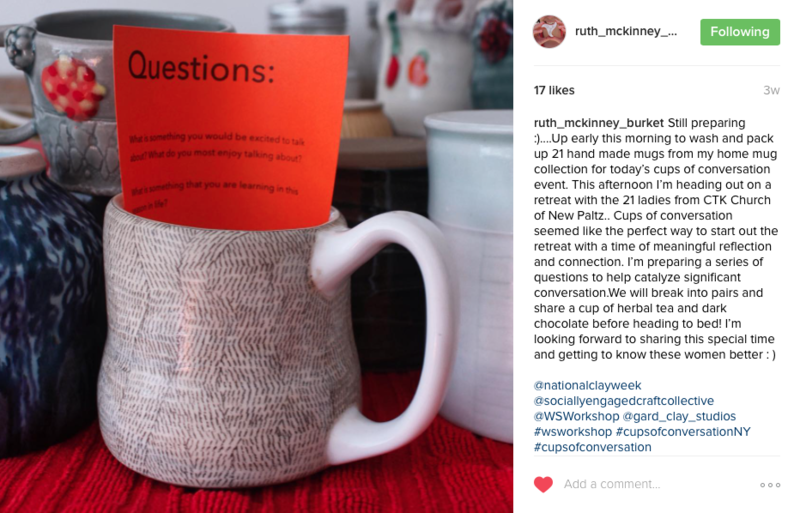 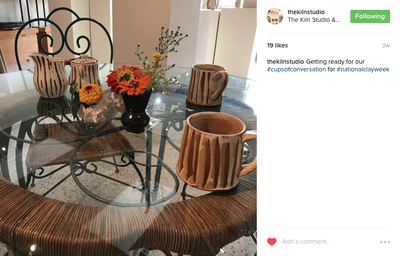 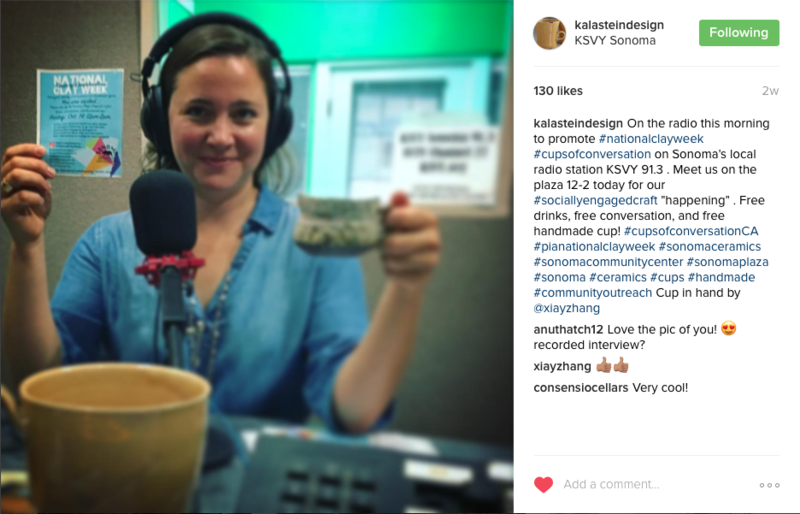 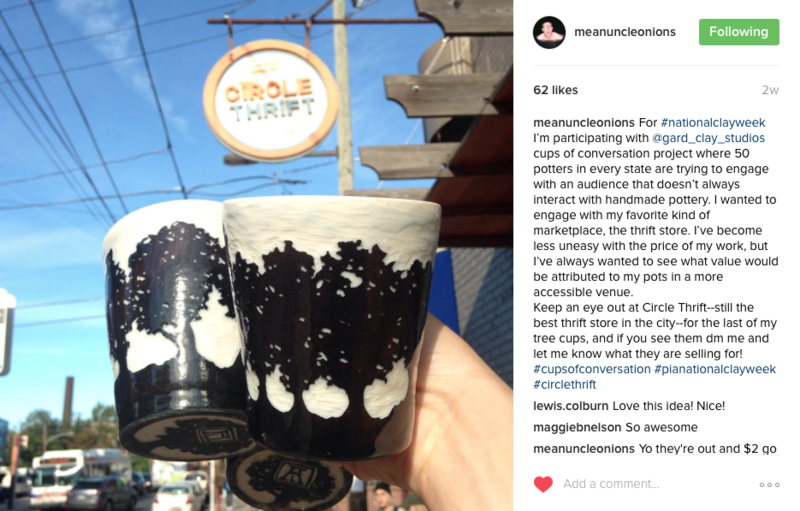 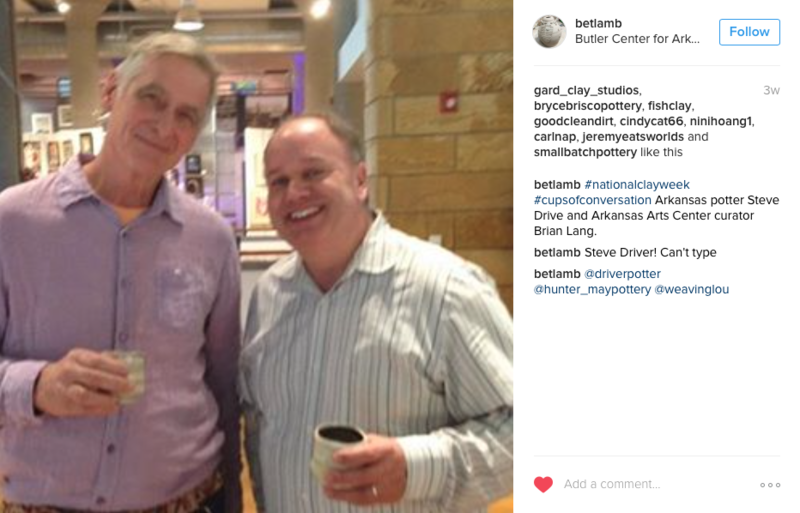 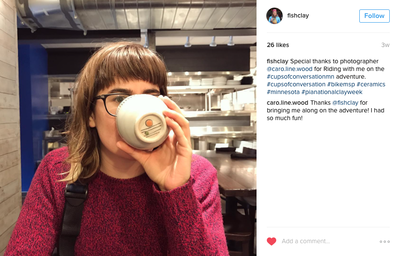 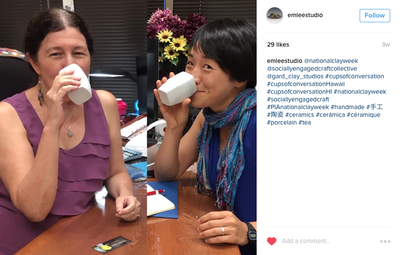 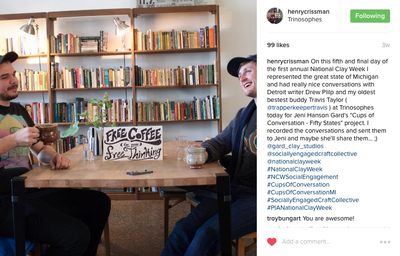 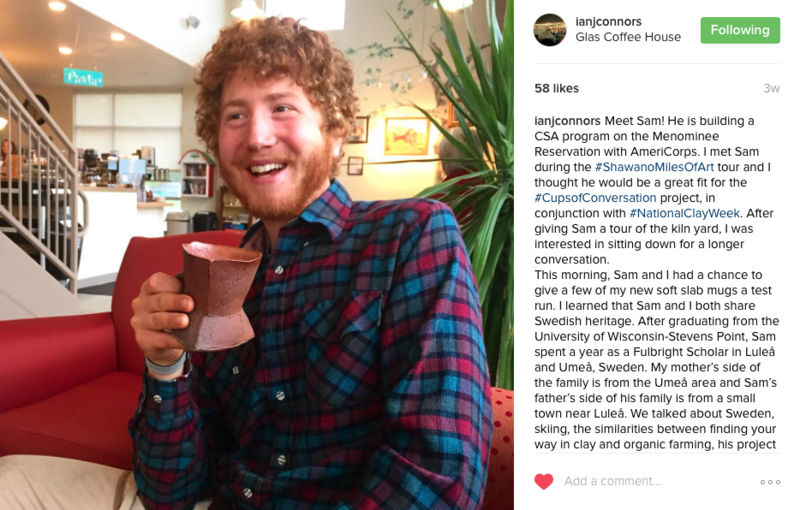 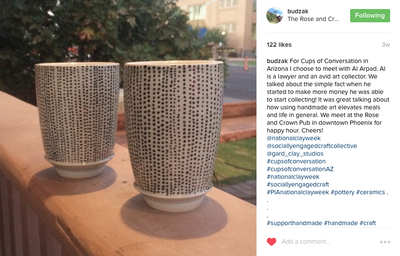 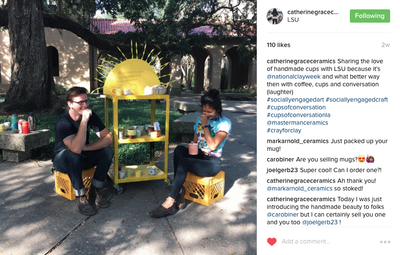 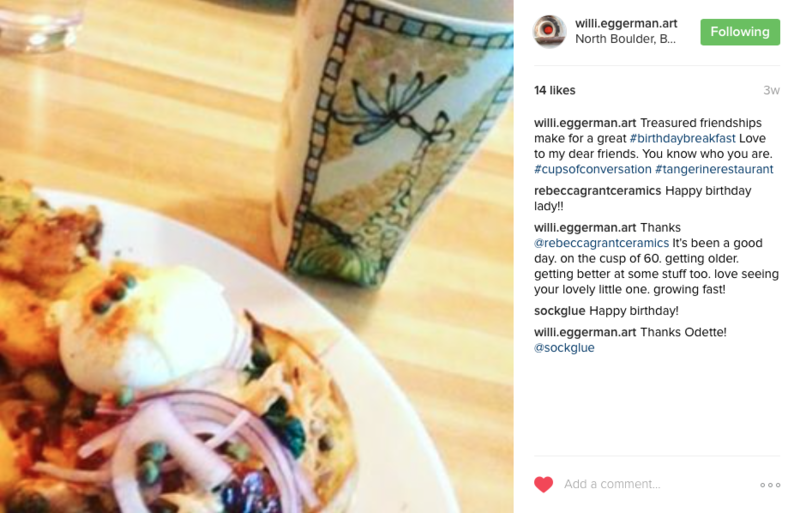 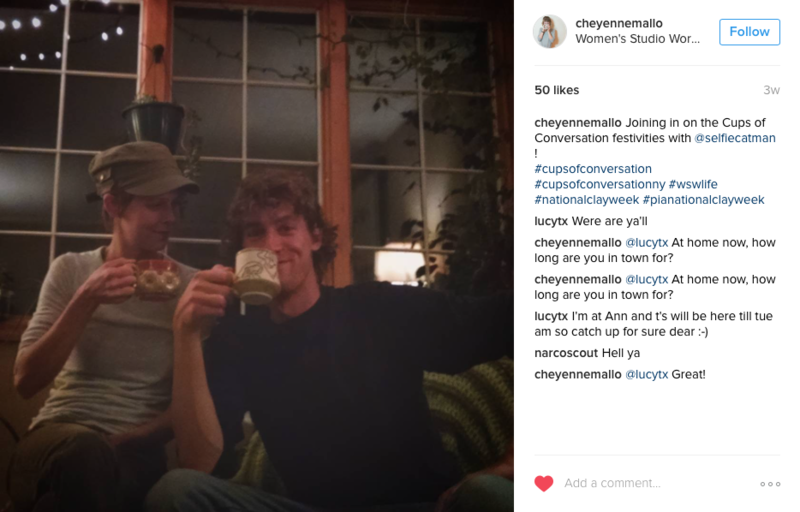 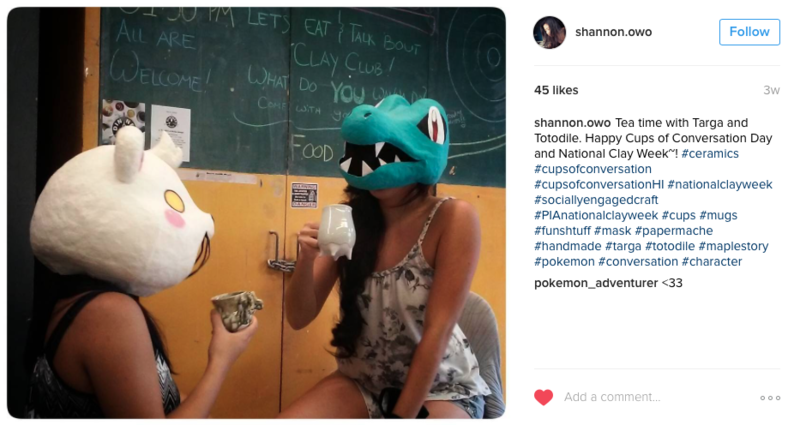 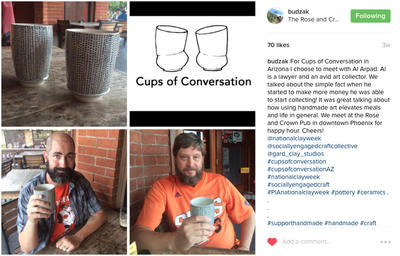 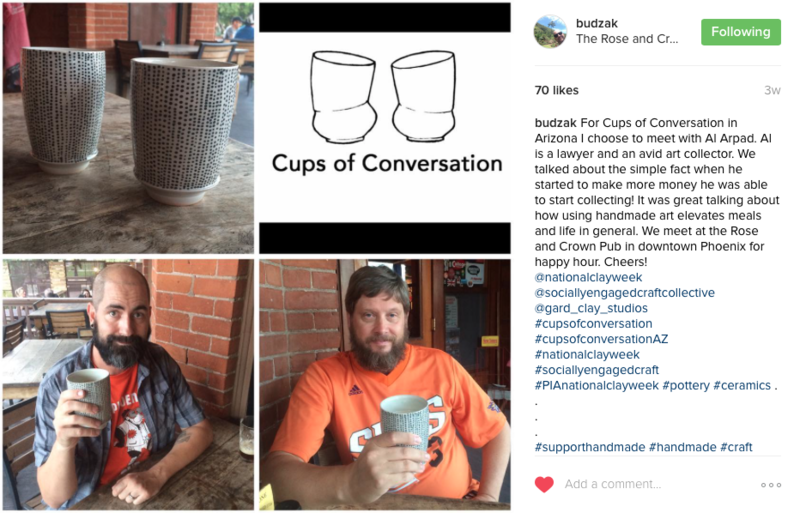 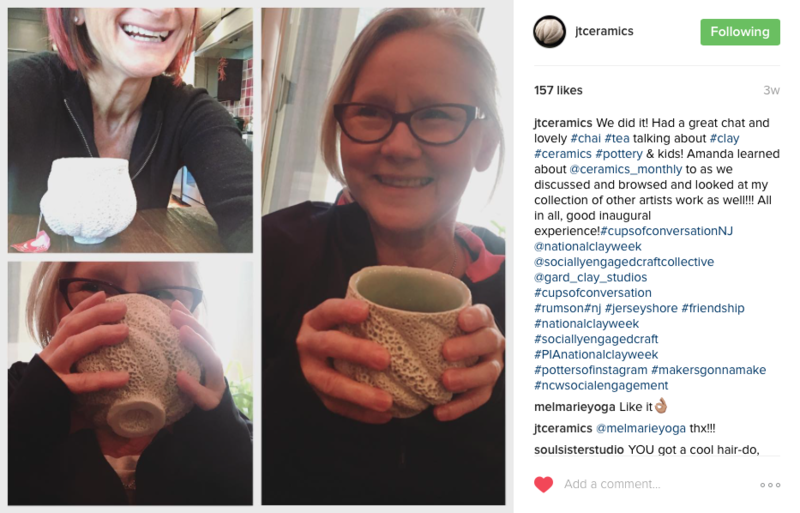 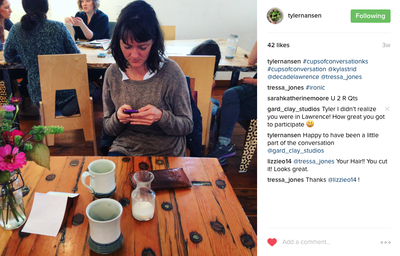 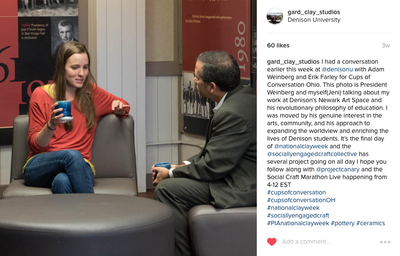 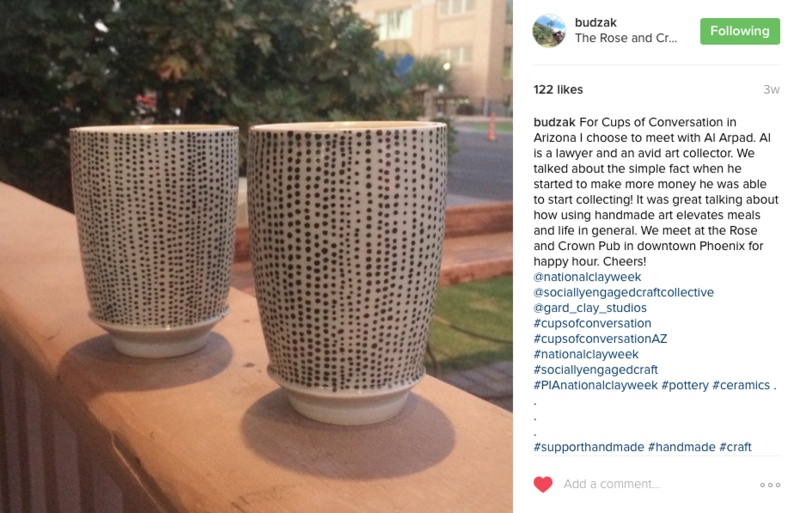 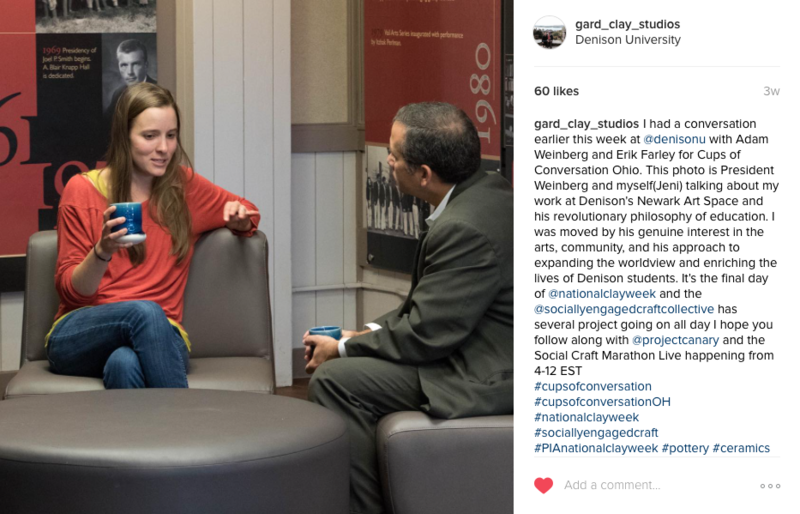 ‘Cups of Conversation’ aimed to start a local dialogue about ceramics and craft as well as the role of the handmade in today’s market that is oversaturated with mass produced wares. 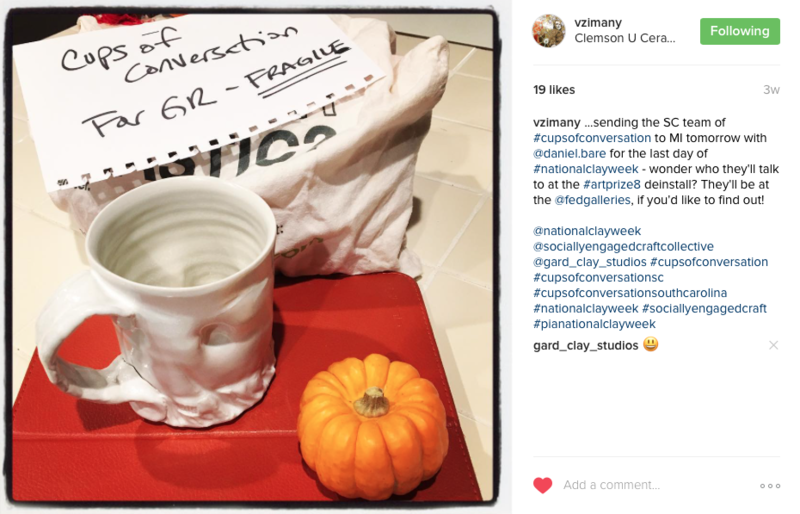 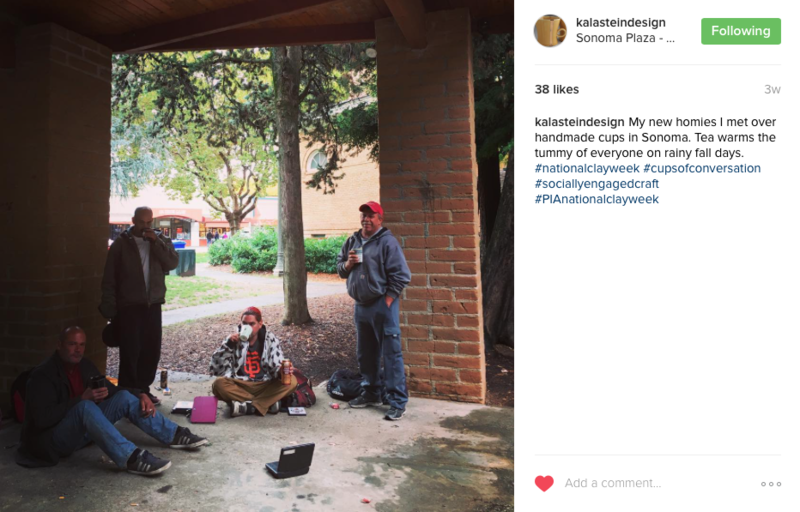 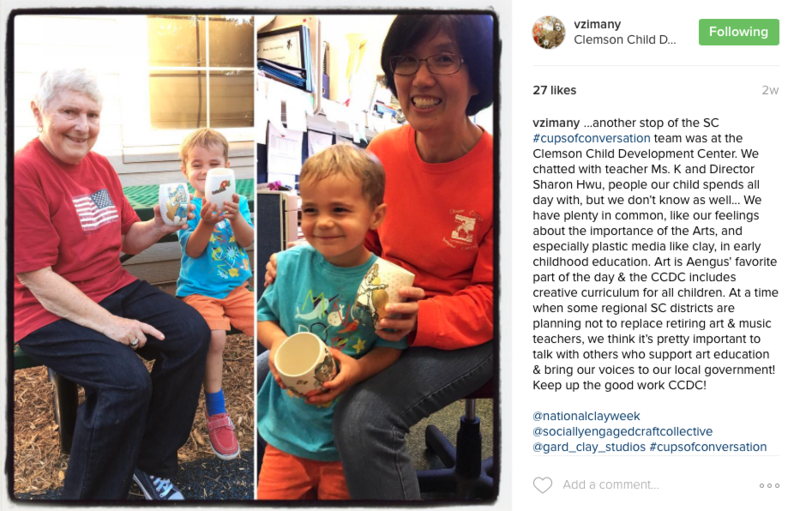 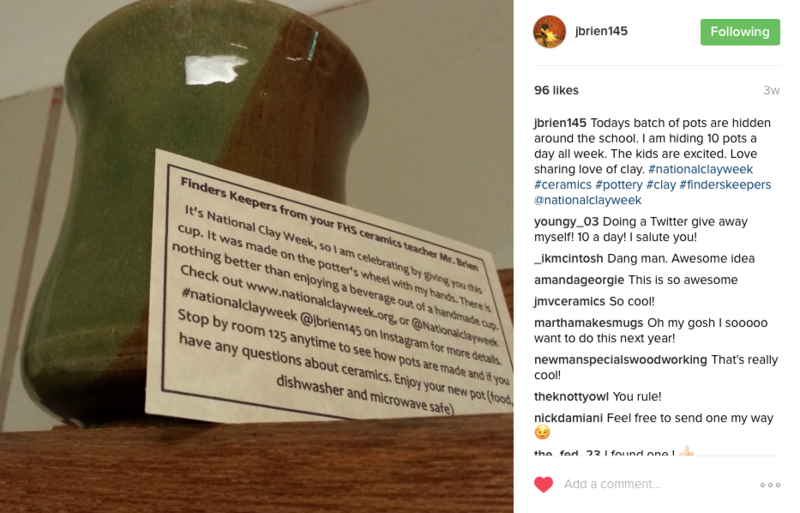 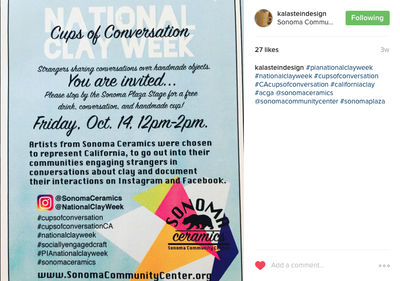 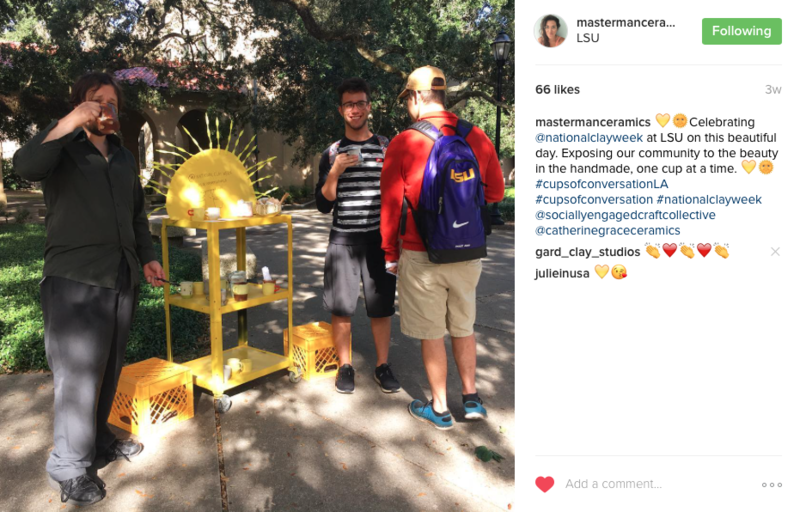 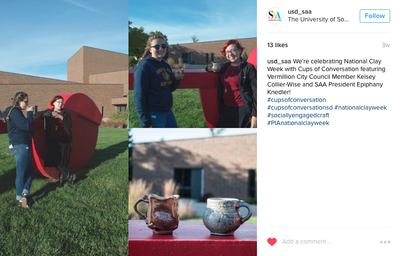 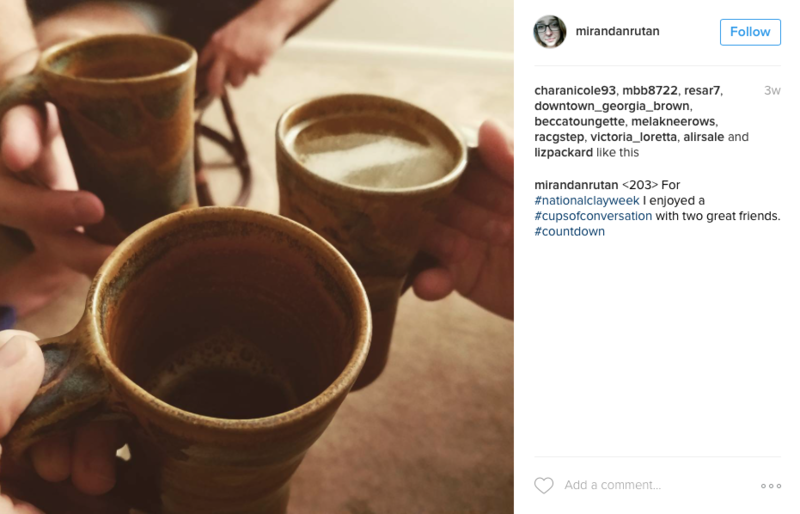 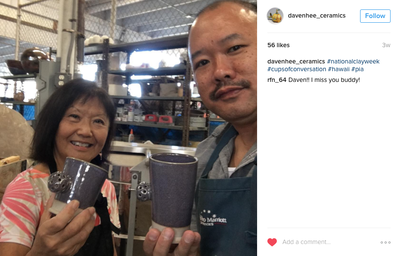 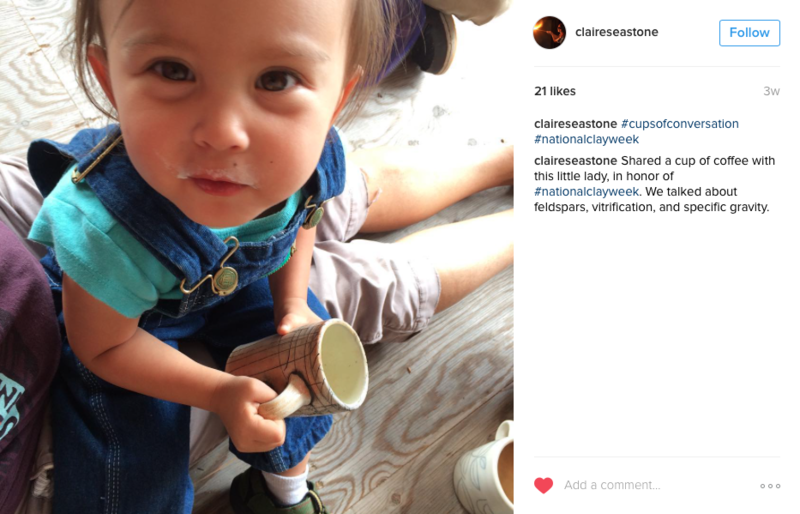 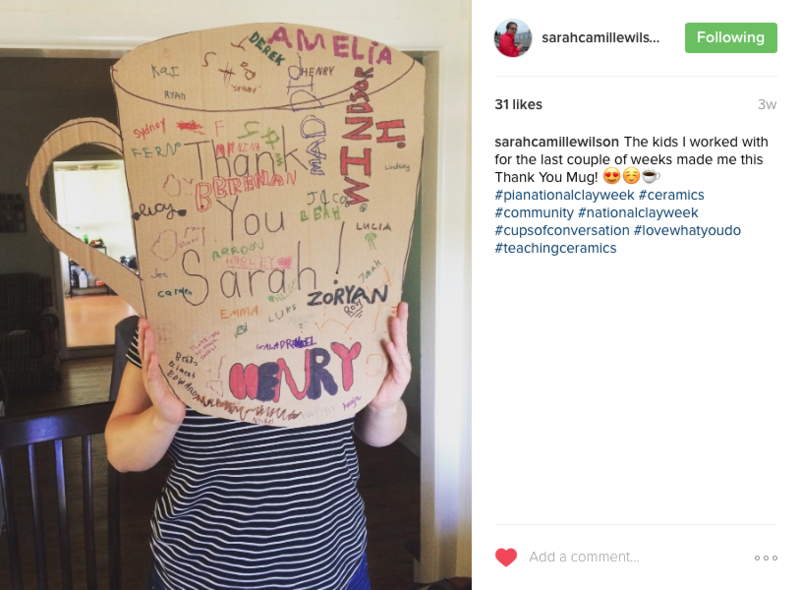 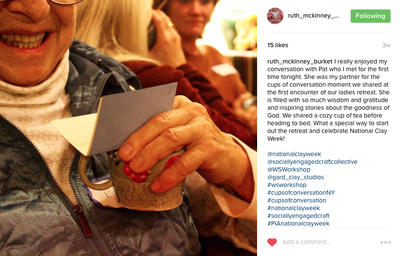 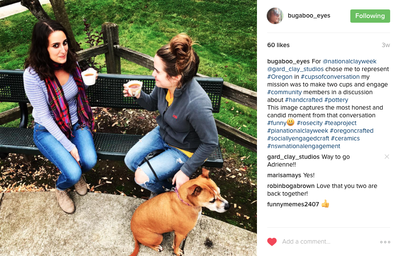 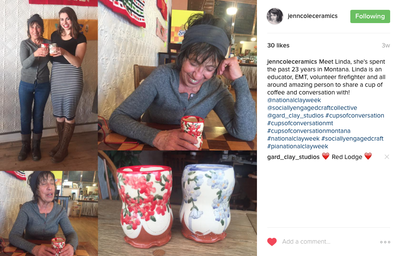 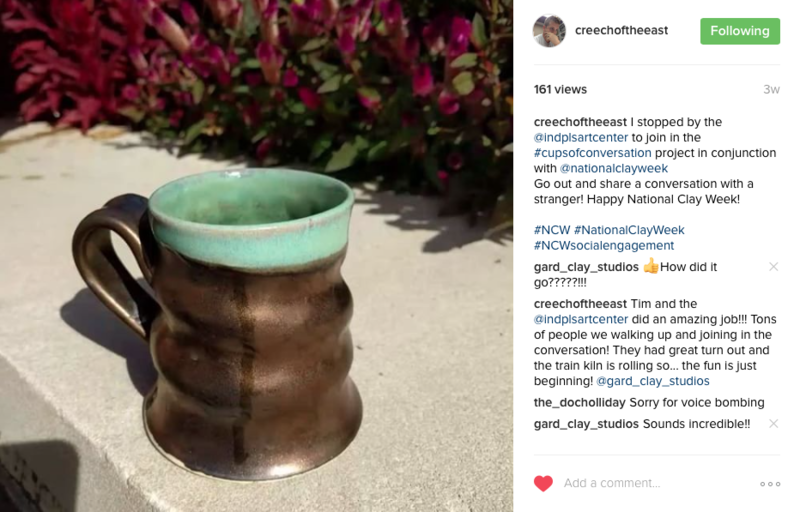 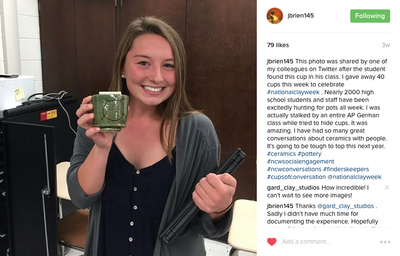 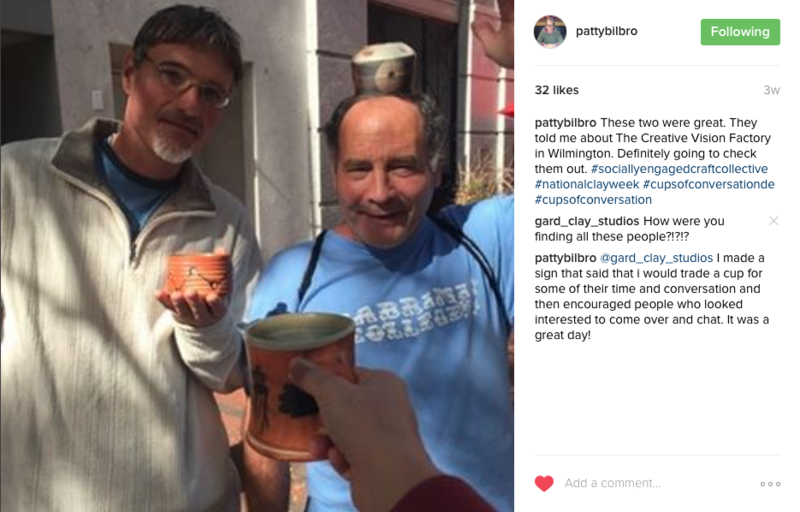 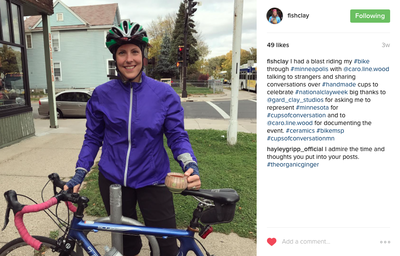 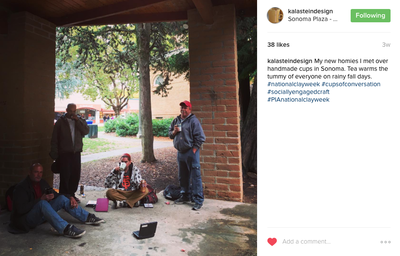 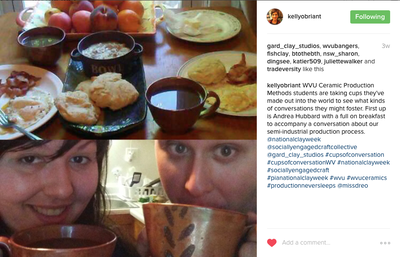 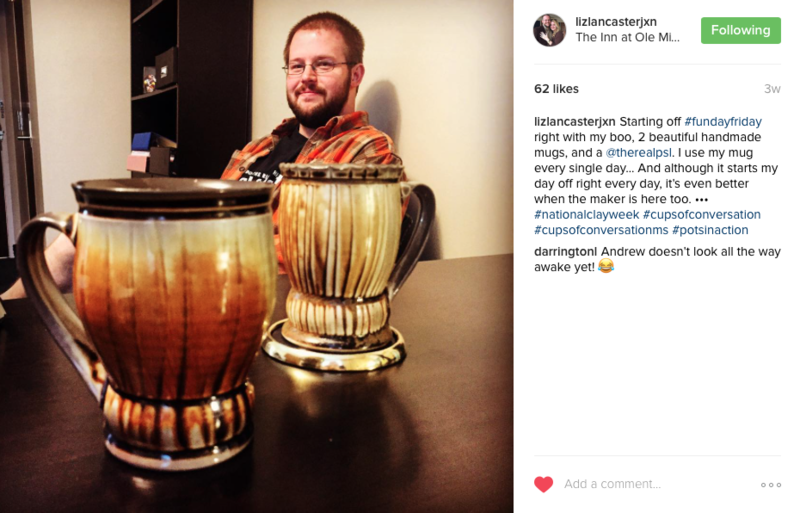 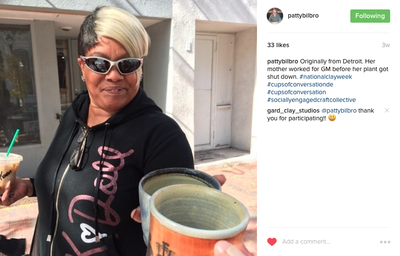 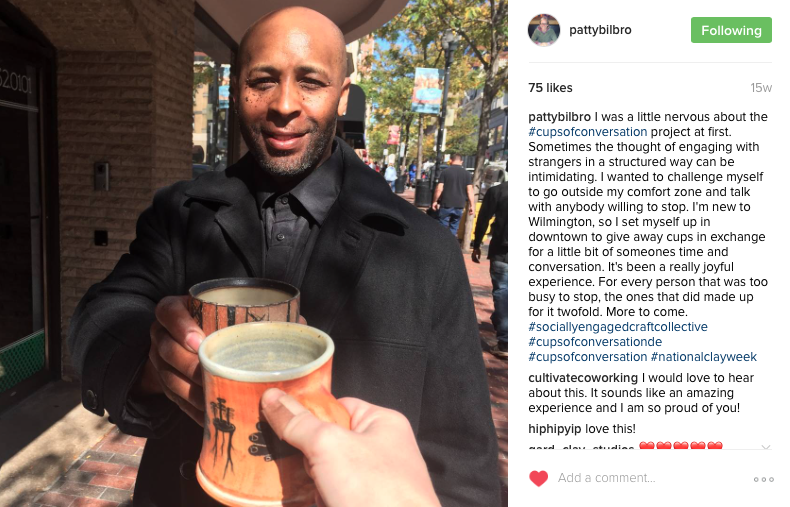 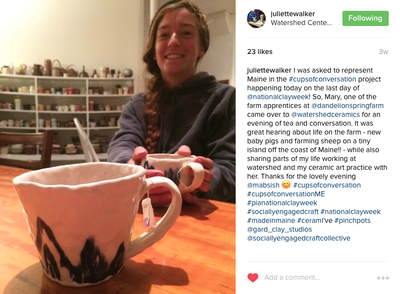 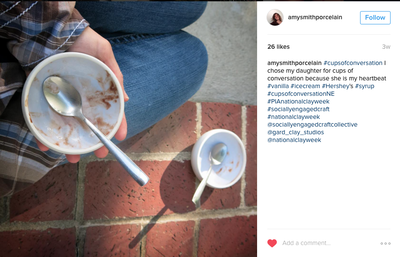 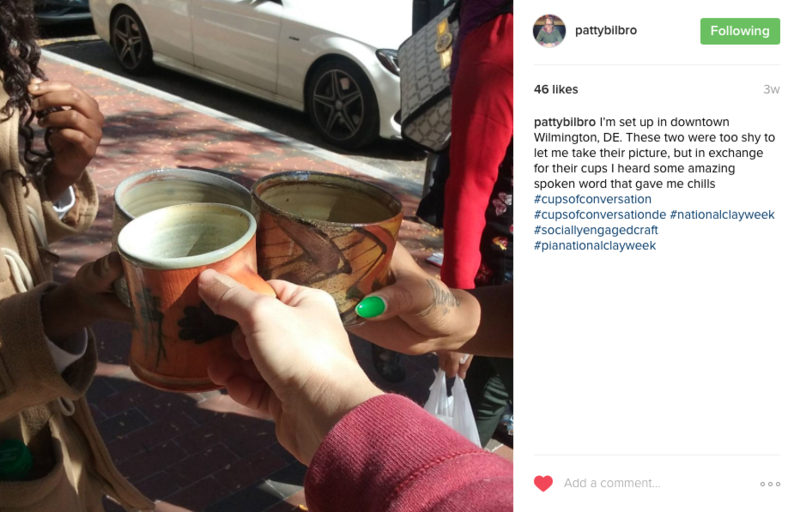 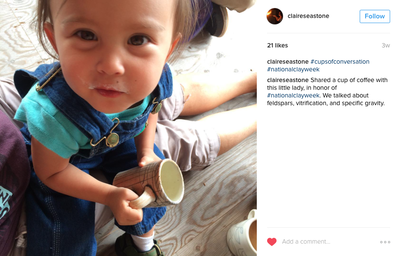 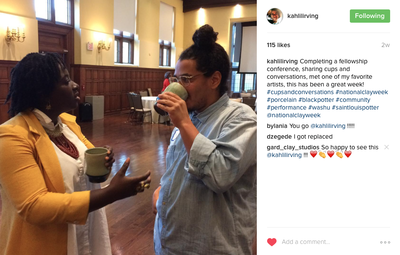 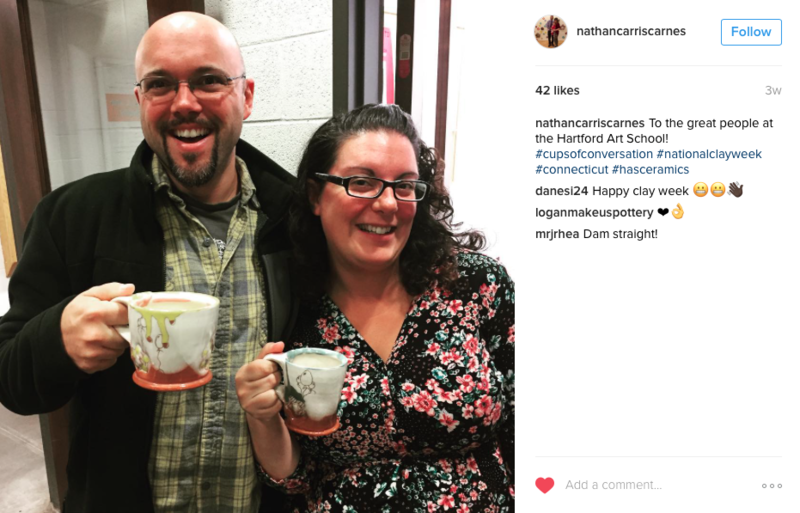 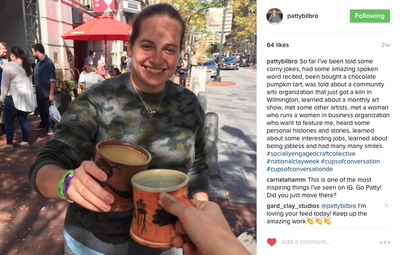 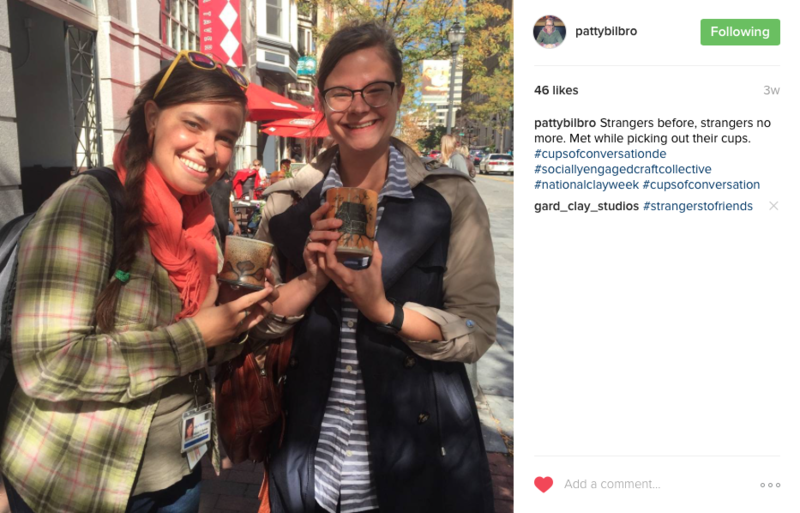 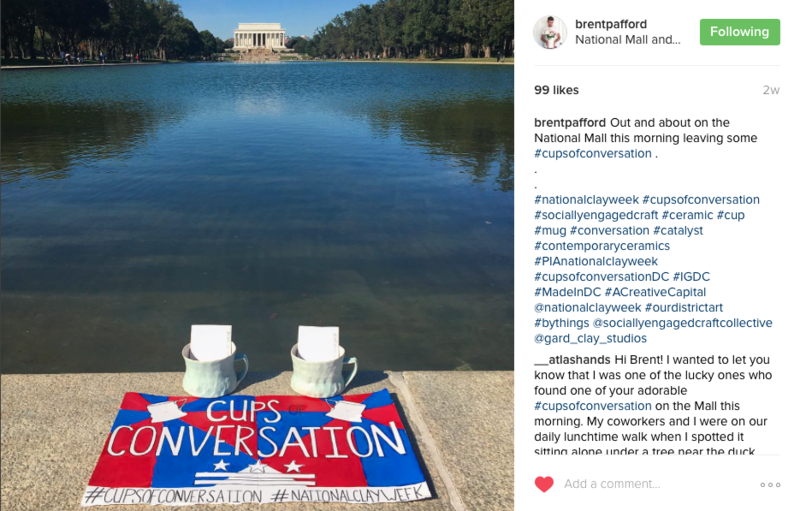 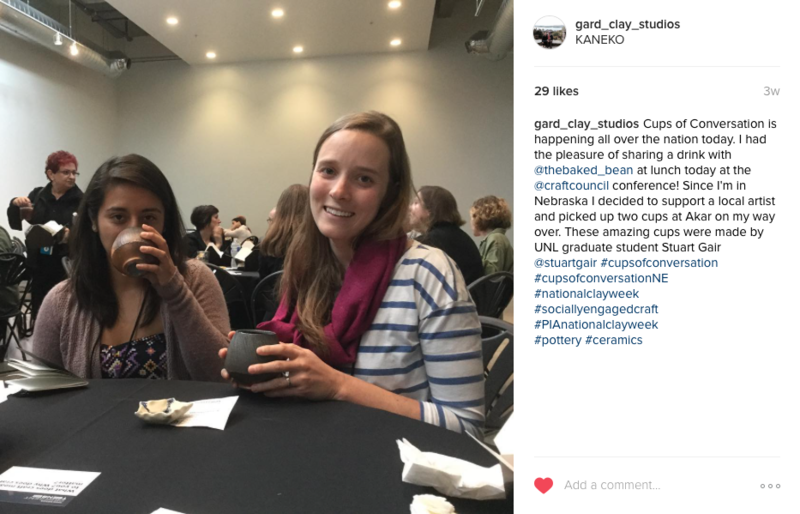 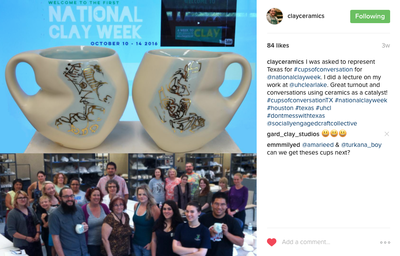 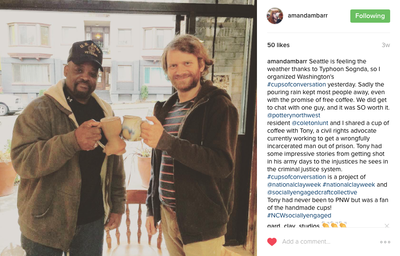 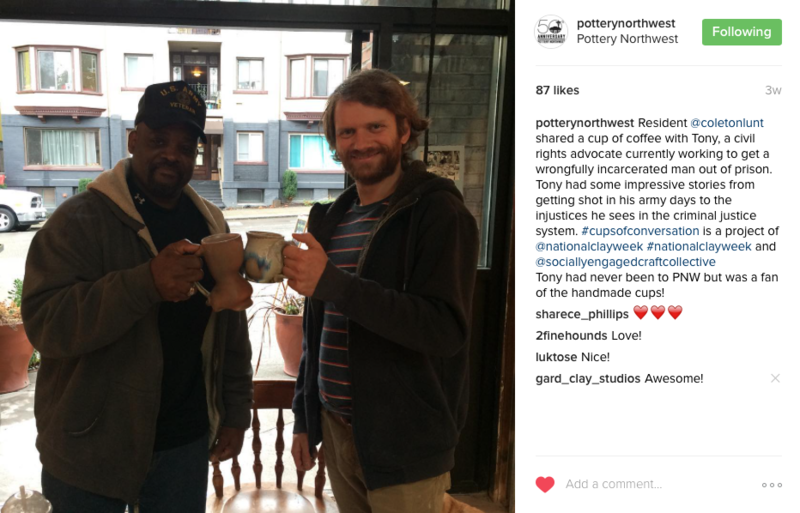 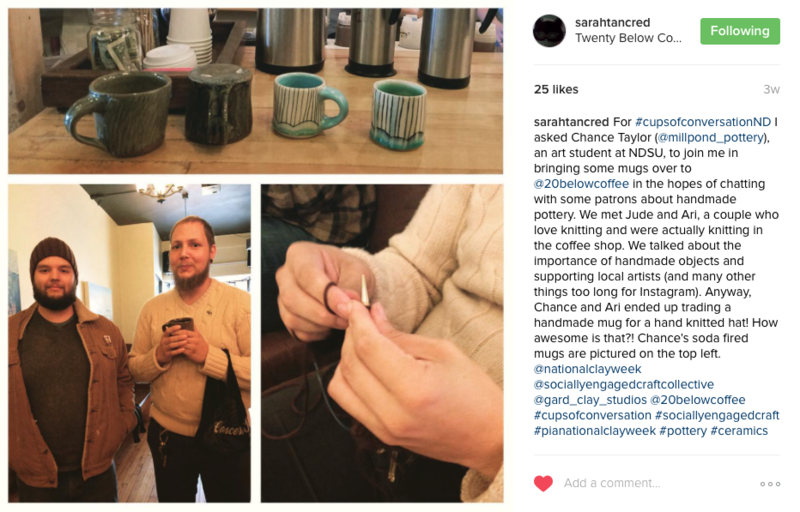 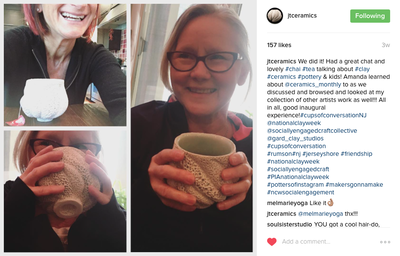 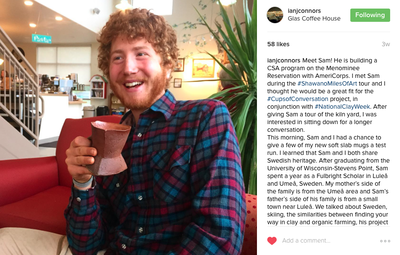 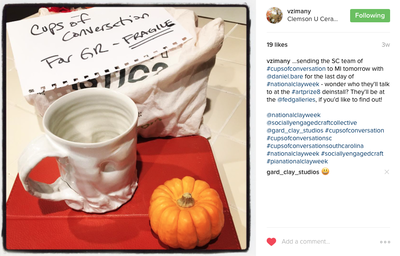 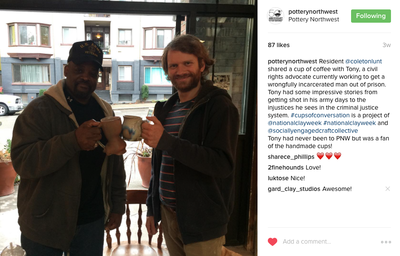 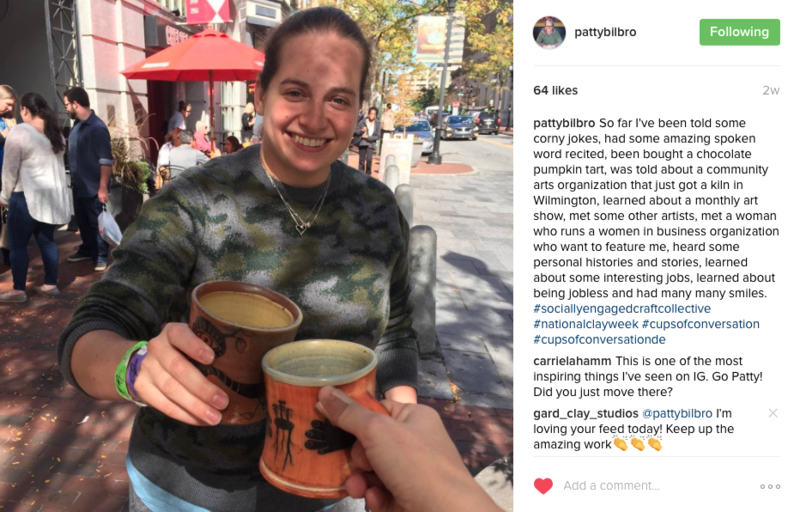 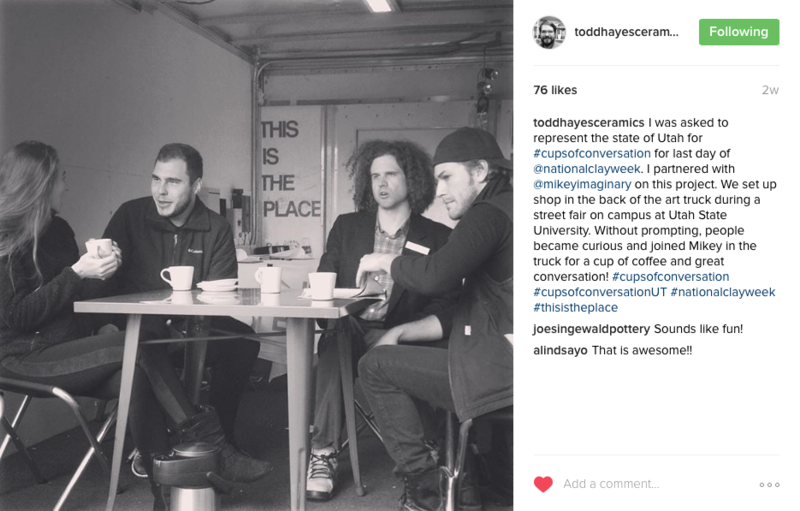 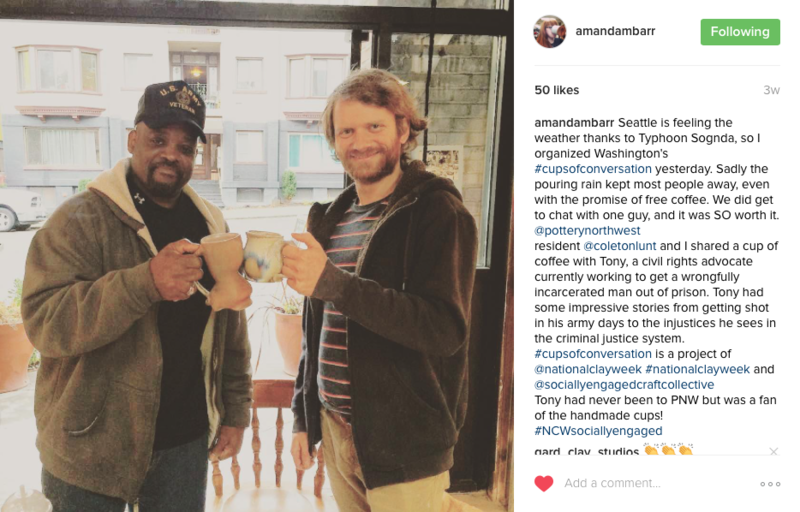 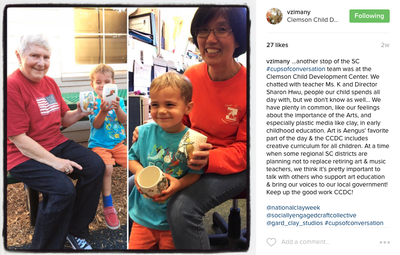 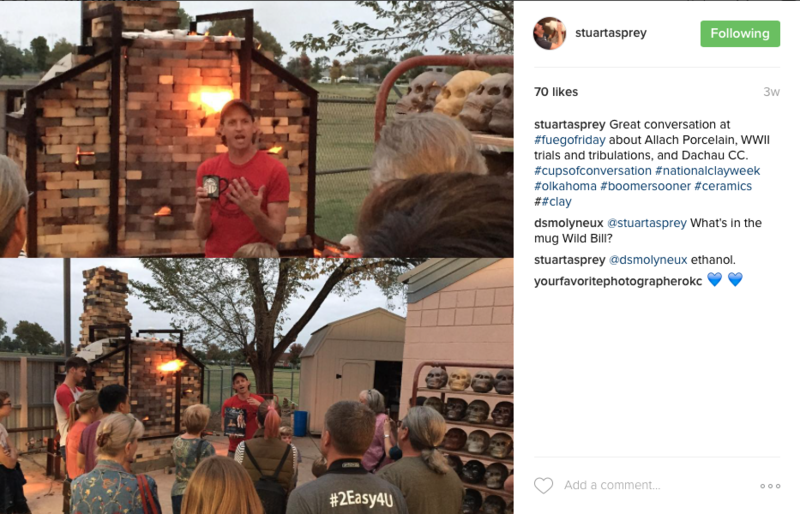 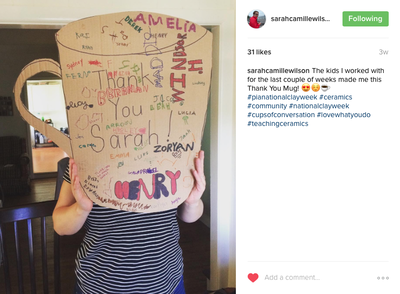 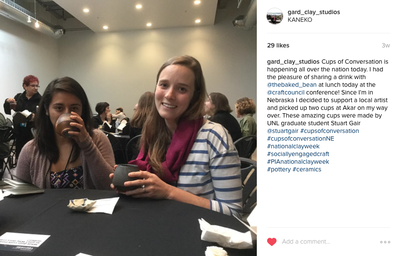 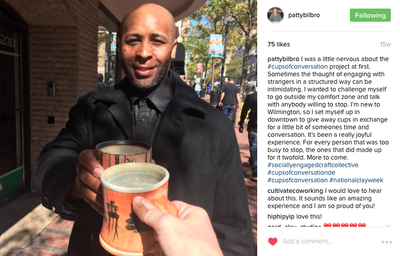 The fifty participating potters, and in some cases organizations, created a pair of handmade cups that was used on Friday, October 14 in their respective communities to share a drink with a someone outside the ceramics community. 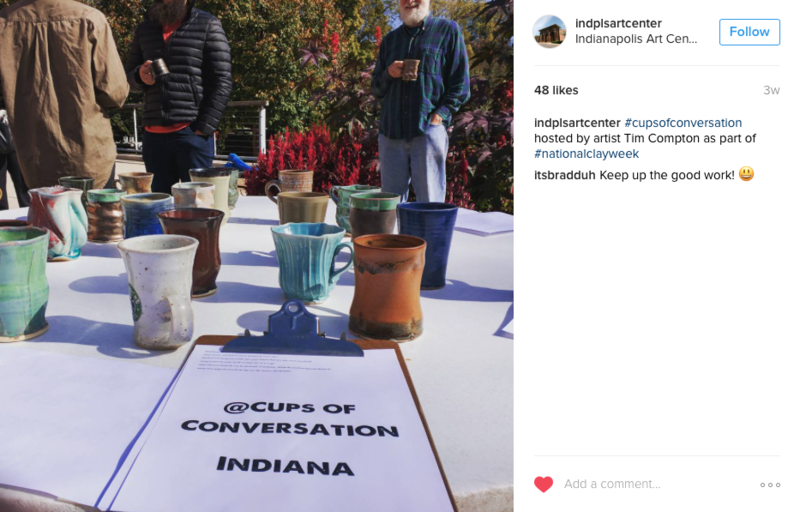 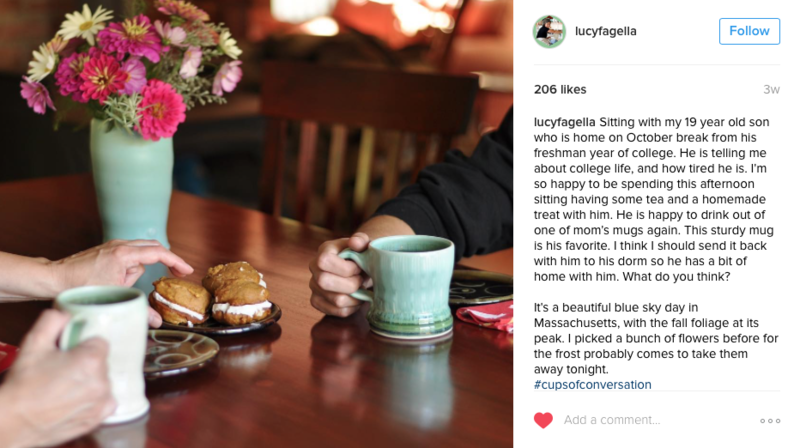 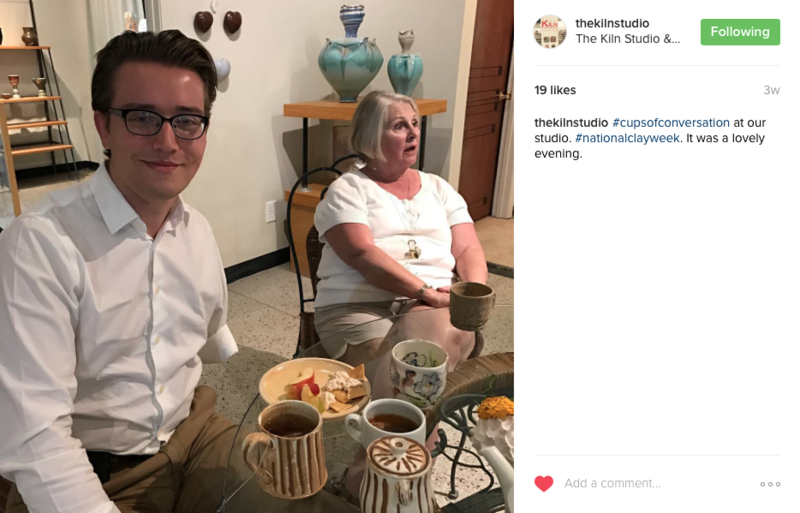 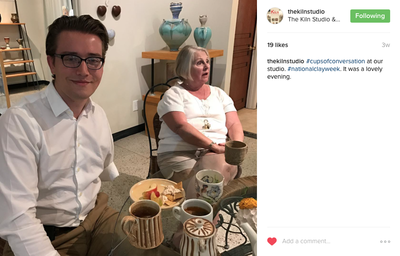 This project aimed to encourage conversations about ceramics, the artist representative, and allow for genuine unscripted interaction to take place between the artist and guests.